Don Quixote. Performance of the "Kremlin Ballet": (on September 21, Saturday) in THE STATE KREMLIN PALACE. Purchase of tickets. & #9742; +7(495) 620-78-46. 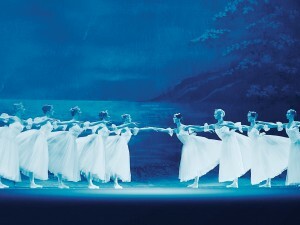 It is one of the most popular classical ballets – vigorous, bright and ardent. A whirlwind of a passionate dance, rhythmical rattle of Spanish castanets, captivating jumps and virtuoso fouettes – these are the characteristic features of the unforgettable masterpiece. The plot is taken from the immortal novel by M. Cervantes “Don Quixote”. The storyline is woven with the necessary love line. Don Quixote, having read too many tales of chivalry, starts for the journey for heroical deeds. He sees the innkeeper’s daughter Kitry a beautiful Dulcinea. But Kitry loves barber Basil. A range of funny adventures ends with marriage of Kitry and Basil and with full crash of Don Quixote’s absurd dreams. The performance premiere on the stage of the State Kremlin Palace took place on June 3, 1994. The performance is accompanied by the Symphony Orchestra Radio Orpheus (Artistic managing director and Principal conductor - Sergey Kondrashov). Room at the inn. Barber Basil is occupied by Don Quixote shaving. There is naughty Kitry, she is hastening her beloved to finish his work somewhat quicker. Having seen the girl, Don Quixote the admirer of tales of chivalry, accepts her for fine Dulsinea. His ardent declaration of love is interrupted by fat Sancho Pansa pur¬sued by servants for pie larceny in the kitchen. Basil and Kitry escape, having using an alarm. Quixote protects Sancho Pansa from beating and appoints him the squire. Inspired with love and thirst of feats, the knight gathers for searches of fine Dulsinea. On the square of a small Spanish a holiday crowd has gathered. Kitry coquets with Bazil, hoping that her father – Lorentzo the inn¬keeper will agree to their marriage. But he has another plan. Lorentzo wants his daughter to marry rich, but silly nobleman Gamash at whom the all city laughs. Kitry refuses to obey her father. There is a street dancer Mercedes and toreadors led by a handsome man Espada. Dances begin. At the height of fun on the square drive Don Quixote and Sancho Pansa. The youth banters over clumsy squire. Quixote learns «the lady of the heart», but Kitry with Bazil, escapes again. Lorentzo, Gamash, as well as Quixote and Sancho Pansa follow them. Night fells. But Kitry and Bazil do not fell asleep. They are eagerly plan¬ning for the future. Their solitude is broken by arriving gypsies, and Mer¬cedes and Espada with them. They warn the lovers that they are searched. Soon appears angered Kitry’s father – innkeeper Lorentso with the company. Gypsies, wishing distract them from Kitry and Bazil arrange a performance. Quixote trusts all events on the stage and, wishing to punish the harm, rush¬es forward. The masks fall from the scared dolls and spectators see Kitry, Bazil, Mercedes and Espada… They are to run again. …The wind has blown, and mill blades start moving. They seem to the knight malicious wizards, with whom he should fight to release fine Dulsinea. Quixote rushes forth, but, having hooked for a mill wing, falls to the ground. Tired wounded Quixote falls asleep and sees a marvelous dream: the fine Dulsinea surrounded with cupids, dances for him. In the soul of the knight once again rises confidence of a victory of good over the harm and fulfill¬ment of the dream. He goes to where they are waiting for his help. The is a small tavern where the fugitives have found a refuge. However this respite is not for long. Their persecutors are already on a threshold. Gamash demands the consent of Lorentzo for immediate marriage with Kitry. The father connects their hands but Bazil, representing jealousy torments, dramatizes suicide. Kitry with tears on her face begs Quixote to restore jus¬tice. Quixote forces Lorentzo to bless Kitry and Bazil. The revived barber and naughty Kitry invite everyone to wedding.